One serving of chia seeds contains 42 percent of the daily fiber value, which can help with weight loss and providing feelings of satiety. Chia seeds have a high percentage of fiber and contain proteins that cause satiety, the feeling of fullness and satisfaction, registered dietician Jen Hathwell wrote on healthyeating.com. Fiber reduces inflammation, lowers cholesterol and helps regulate bowel functions. The minerals magnesium, phosphorus and calcium help prevent high blood pressure and regulate a healthy weight. Two tablespoons of chia seeds have 42 percent daily-needed fiber, 30 percent magnesium and 27 percent phosphorus, according to the Food and Drug Administration website. 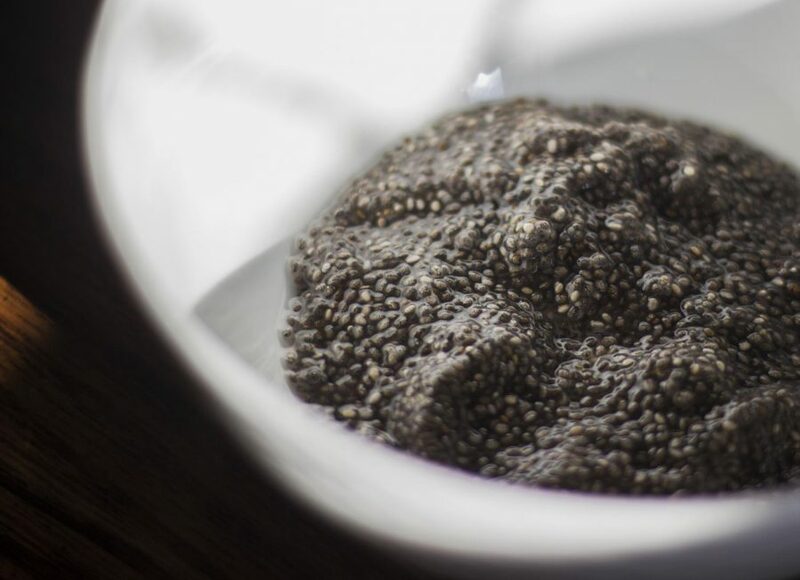 A 1-ounce serving of chia seeds also contains approximately 10 percent of the daily value of fats, omega-3 and omega-6 fatty acids, according to the FDA. Hathwell wrote that chia seeds are one of the richest plant-based sources of these fatty acids. Omega 3 helps reduce inflammation and high cholesterol, and enhances cognitive performance. When chia seeds are mixed with liquids, they become gel-like and viscous. This quality enables chia seeds to serve as a substitution for eggs. They can also be used as a binding agent to thicken dishes like pudding, soup, gravy, meatballs and meat loaf. Chia seeds can be added to salads, oatmeal, trail mixes, muffins, bread and pancakes. The satisfying effect of satiety makes chia seeds a great light snack, because small amounts make the consumer feel full sooner than with other foods. Chia seeds have exfoliating characteristics that detoxify and remove dirt and oil. They can be added to homemade face-cleaning products, such as face scrubs and masks.